It seems somehow worth mentioning every time I write about a work so deeply inspired and influenced by the Lovecraftian Mythos that on the surface, I have very little interest in Lovecraft. It's not a selling point, it's something to overcome. Then I read Ruthanna Emrys' debut novel Winter Tide and fell in love. Lovecraft was the seasoning to a family and cultural story of extermination, survival, and belonging. Deep Roots is the second volume in The Innsmouth Legacy. Emrys takes Aphra away from coastal Massachusets and into New York City. Aprha is looking for lost members of her family, of her race. She finds New York is a city filled with humans, yes, but also with aliens and monsters and any number of inhuman denizens. 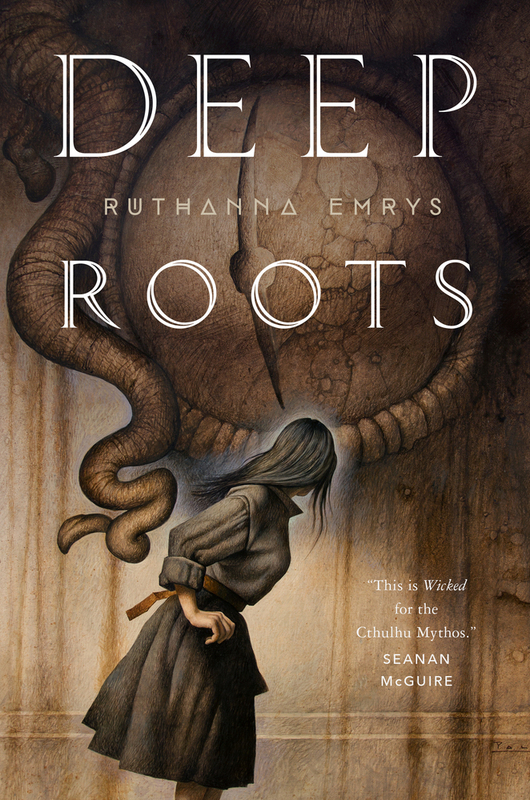 Deep Roots is a well crafted and deeply engrossing novel. I relished the opportunity to spend more time with Aphra and her community and I look forward the next volume whenever it comes out. 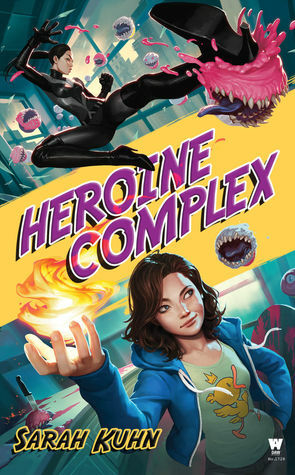 Heroine Complex is set in a modern day San Francisco that is just like our San Francisco, except that there are really weird cupcake demons (not a euphemism) that pop out of portals and which are vanquished by an Asian-American super heroine. Heroine Complex is an absolutely delightful romp of a novel which I did not want to put down (and as such, only put it down twice and then only because I have two small children who needed attention). I loved the backstory relationships in the novel, the development of Evie Tanaka from beleaguered personal assistant to full on heroine in her own right, the banter and creativity of the writing, and the escalating action sequences. Straight up, Heroine Complex is a lot of fun. I'm not quite sure how to best describe, or even talk about, Witchmark. It's a war novel focused on the home front. It's a mystery. It's a novel strongly focused on privilege. It has something revealed very late in the novel that I really want to talk about and in reference to another historical and famous science fiction story, but I can't because it would give away far too much of the novel and a capsule review isn't the place for that. It's a romance. It's queer. It's quietly fantastic in most sense of the word. There's magic and medicine, secret societies and secret identities. Witchmark is gentle only in the sense that there are distinct manners in the characterization and it's set in a quasi World War II era England where those manners and being proper matter (but in a completely different not at all England but still sort of England world). The rest of the novel is a continual kick in the gut laced with moments of grace and love. Witchmark is a lovely novel and an excellent debut from C.L. Polk.